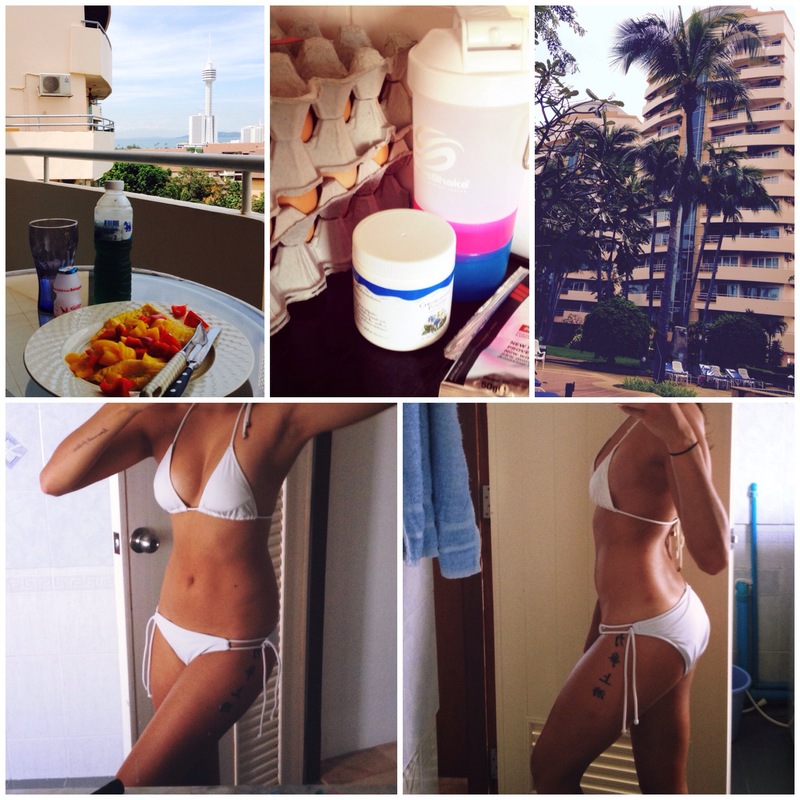 Many people wondered what I was going to do with my fitness routine and gym craze once I went travelling. However, I’m pleased to assure you I’m still all about those gains, ’bout those gains, no treble. When you go travelling you experience many amazing things; things that would only be a pipe dream while you’re at home. 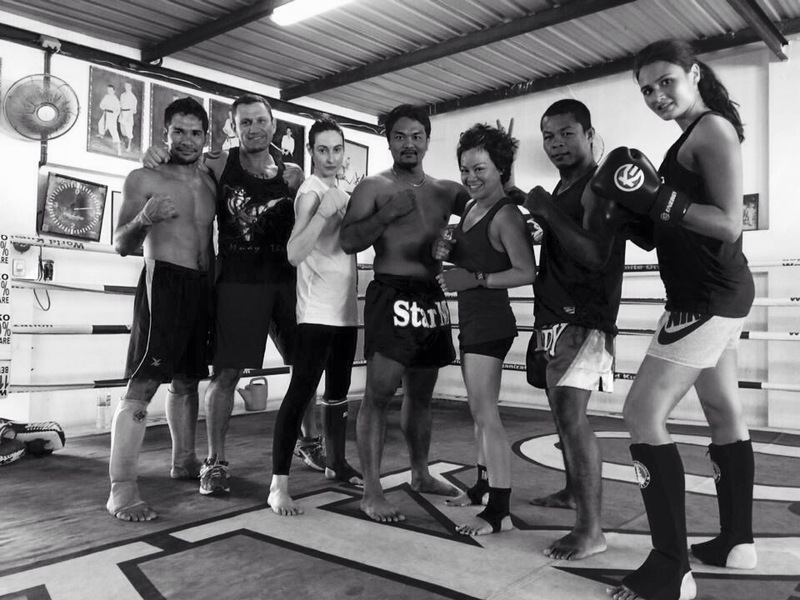 I’ve been really blessed here in Thailand: not only am I volunteering, helping and having my days enriched by the children of the Orphanage, but I’m also so incredible lucky as to be trained in Muay Thai (so I can defend myself on my travels/volunteering and secretly become batman) by the legendary world champion Sakmongkol and sometimes the other incredible skilled fighters at WKO. I really could not learn better basics from anyone else and I can only do my best not to disappoint! I’m not going to lie, all the talent at the gym makes me feel like my newbie self stand out like a sore thumb; my steps and stances are more fitted for the ballet stage than the ring. I think my newbie techniques is a testimony to the trainers’ patience; even I get frustrated so I’m always surprised when they don’t give up on me. Just the language barrier would have been enough for many trainers to give up! On another note, Sakmongkol was positively surprised by the power of my kicks the other day which made me feel really optimistic! I know, by the end of the day, I just got to put my newbie self on the banter wagon and keep practising, keep developing and keep improving. I’ve only done this for one week and still got another three to go! Step by step like one of the trainers said! WKO gym also have a small fitness room with free weights that I use after the 1-1.5h long Muay Thai training. I’ve pretty much taken all my weights back to scratch besides the deadlift which I’m working on from 60kg (PB 80kg) since I haven’t been on a proper workout plan since August before the big push on my dissertation and moving. I also want to build up the strength and techniques properly before I hit the big weights again. I think it’s the best thing to do since I left my better gym buddy and spotter in Cardiff; I’ve already been stuck under the benchpress once without her so I think I’m better off playing it safe! The free weights room is what I like to call a basement gym. It’s the type your grandfather would know about, where the older gents go work out with rusty old bars, iron weights that’s lost their shape and old music playing from the music player. I think many “hip” fitness people/bodybuilders would go to other modern fitness gym’s in town, but I’m certain I couldn’t have picked a better one. I really like this gym for its charm, the many people you meet with a long time experience and the fact I never have to queue for a working station haha! So what’s happening to my gains? Well, after 2-2.5h intense workouts in over 30degrees, at least five times a week (and swimming on my “days off”) has already begun to show some slimming results on both my body and my wallet (considering all supplements are sold at extortion prices here). Tbh, no matter how much I slim down I’m still going to be larger/taller than the majority of the Thai-women. Oddly as the next then may sound, that fact has taken away a lot of the slimming-stress and yet it seems that I’ve managed to slim down anyway! I’m back to being on the fitness level I was at the peak of my training, if not even better. That to me feels incredible. I’m really excited to see where I’ll be when the next three weeks are over! All those gains ❤ Don't worry Meghan Trainor, I'm working hard for that "little more booty"! Today’s interesting note: First thing I bought when arriving to Pattaya was a load of 90eggs (3×30 cartons stabled on each other). Our family friend is sure I’m to turn into a chicken if I finish them all before leaving. I’ve gone through 20-30 so far. Cluck.